Boho Bandwagon: A new Boheemian! Last month following (or overlapping with) Jane's departure, we were joined by Bec Plummer, our new studio manager. 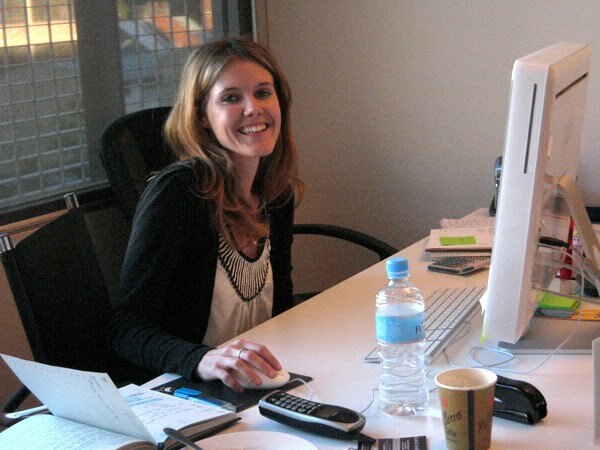 Bec has a background in marketing and brand management, and has also a little experience with web development. We're already enjoying having Bec around, and now that the studio manager's role has grown to be a full-time one, we know that Boheem's design team as well as suppliers and clients will be glad to have someone on hand to ensure projects are completed well and on time. And now with Chantel back from her adventures in Morocco (etc) we're a full house again... the studio's buzzing and we love it!